The Laser Sharp Grooming Shear by Paw Brothers is designed with the groomer in mind. It has an ergonomic handle with the thumb shank being shorter and finger hole turned inward for more comfort and control. The design allows the shear to be opened easier, wider and with less effort. The Laser Sharp Shears are Stainless Steel Ice Tempered and have thumb inserts. 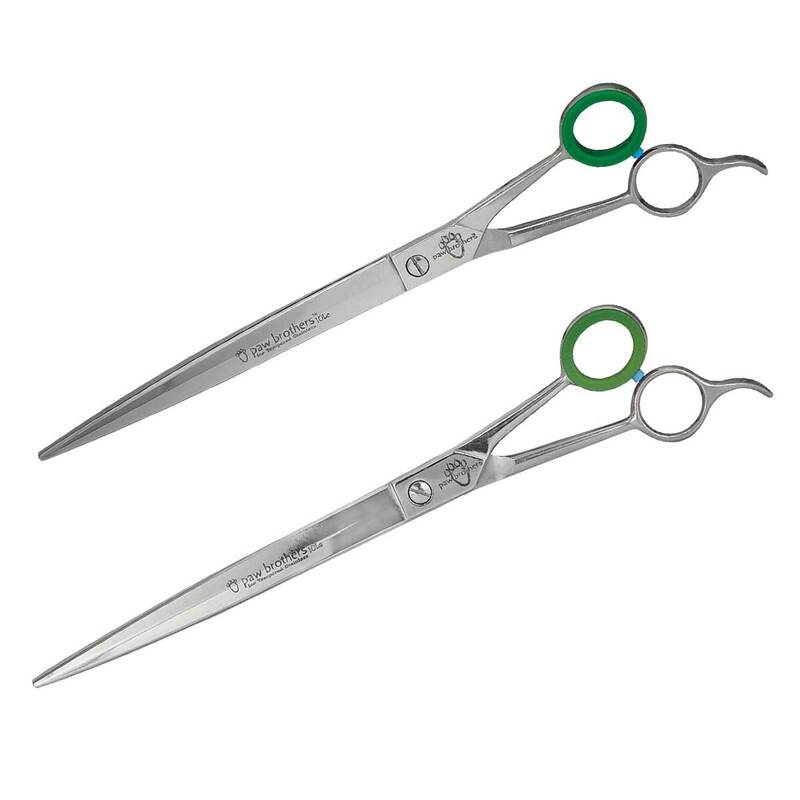 Combo Set: (1) PB10LC 10" Laser Sharp Shear Curved (1) PB10LS 10" Laser Sharp Shear Straight.